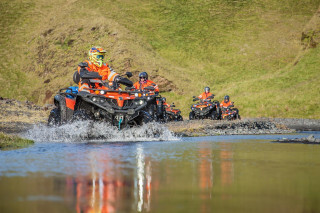 Age 12+ A valid driver's license is required to drive an ATV bike. 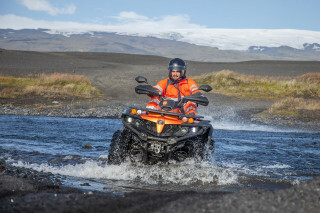 A valid driver's license is required to drive an ATV bike. Start times are 10:00 a.m. and 12:30 p.m. Please arrive at the meeting point 30 minutes before departure. Only participants with a valid driver's license may drive. Please wear thick, warm clothing. 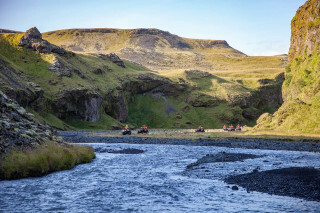 Arcanum is located 9 km (5.6 mi) east of Skogar and 23 km (14 mi) west of Vik. Take road #222 and drive about 1.2 km (0.75 mi) to Arcanum base. Please be at the meeting spot 30 minutes before the start time. 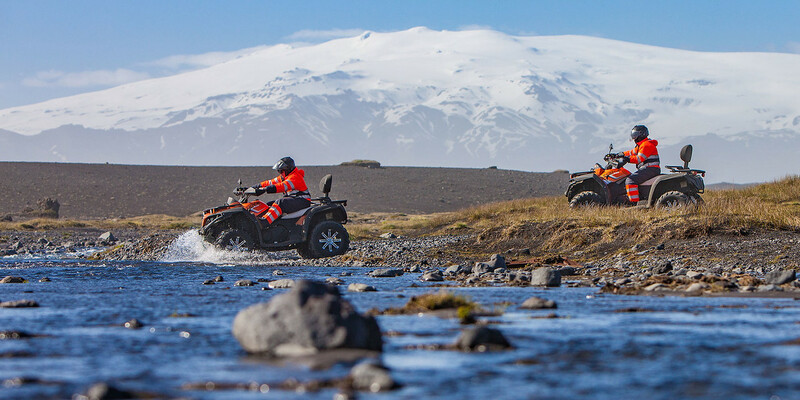 Add some off-roading thrill to your Iceland visit. 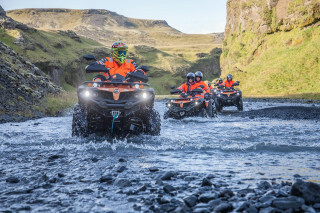 Climb aboard an all-terrain vehicle and hit the streams and rocky, rugged land of South Iceland. 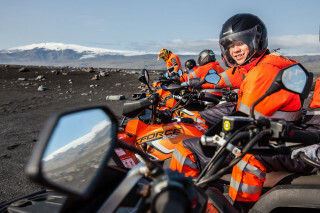 At the meeting point, you meet your guide and get suited up for the adventure. 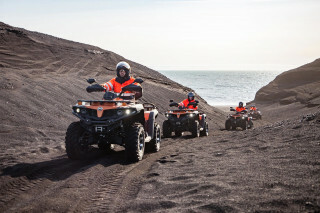 After a safety briefing, grab the handles of the ATV and set off on your excursion. 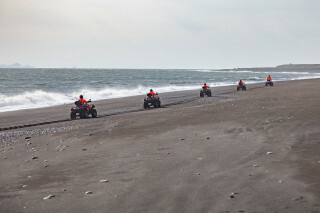 Splash your wheels across small rivers and glide along beaches of black lava sand and pebbles. 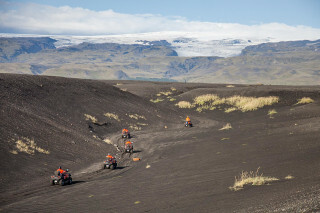 The black lava comes from previous outbursts of the nearby dormant Katla volcano. 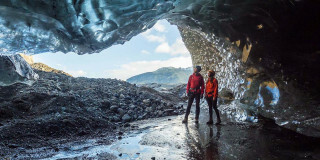 Peer up at the volcano's ice cap, the marvelous Myrdalsjokull glacier, sitting high in the sky. 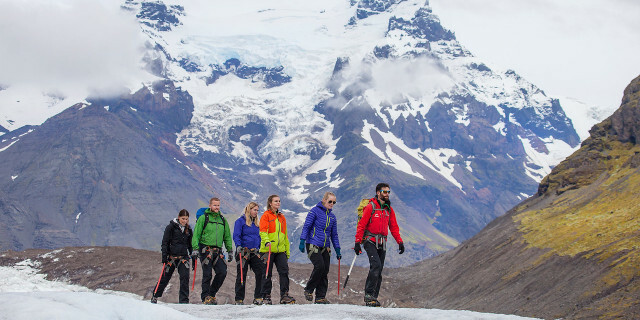 Follow your guide along the coast to the southernmost part of Iceland. The small peninsula of Dyrholaey is famous for its intricate rocky arch and its several spectacular lookout points. 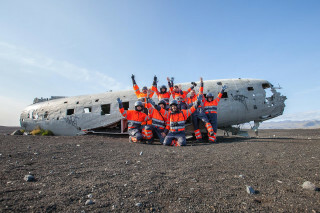 Further on the route, you visit famous aircraft wreck of a WWII plane. Circle the abandoned DC-3 plane and stop for some photos as you take in the historical and picturesque setting. 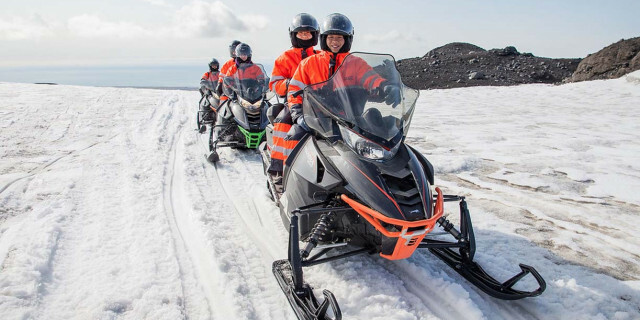 Then head to the Jokulsa River and its high canyon walls until you come to the mountain. 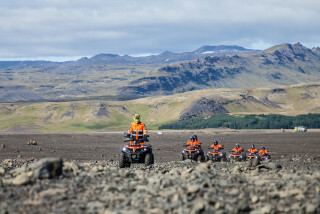 On the return ride, the group follows the mountain back to the base. 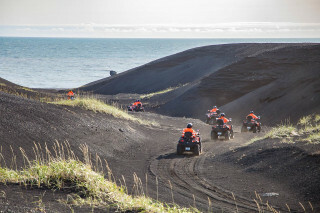 Get in touch with the raw nature in the south coast, an unforgettable experience of fun-filled ATV riding. Of course, you should watch where you're going, but be sure not to miss all the incredible views along the way.